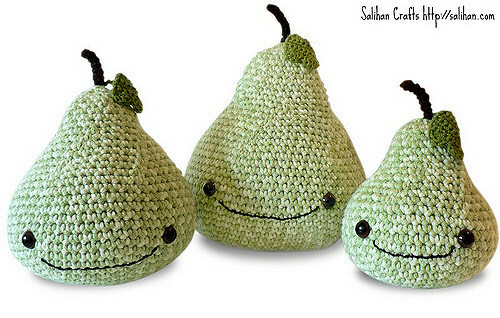 These pears are not your typical crocheted stuffed toys. 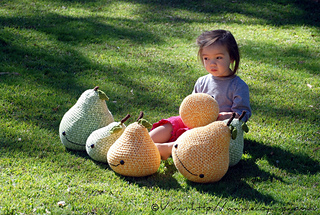 They are very cute but they are not small! 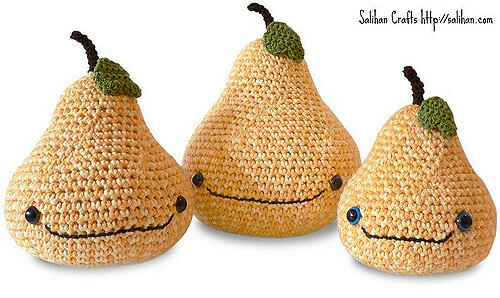 These pears were designed to be cuddled! 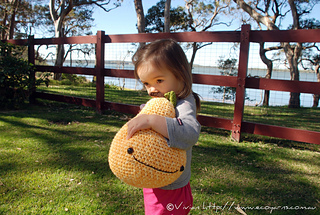 PLUS, super bulky weight yarn and a large hook ensures that your pear is crocheted up quickly. You won’t have to wait long to snuggle in bed with these softies.